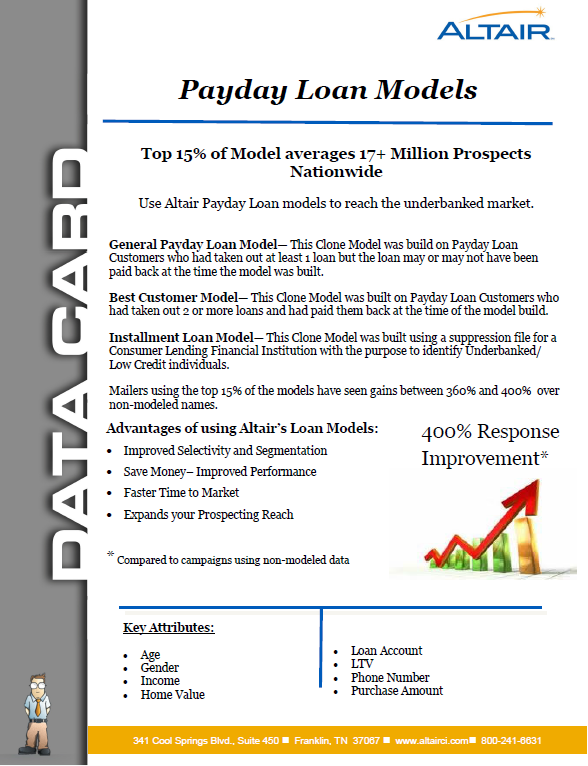 Altair’s Payday Loan Models help you reach hard to find prospects and improve performance right out of the gate. Call 800-241-6631 to improve your direct marketing response rate. This entry was posted in Consumer Finance, Financial Marketing and tagged Consumer Finance, Customer Acquisition, Customer Insights. Bookmark the permalink.